The optional Light Add-On Kit easily attaches to the inside of the system's tubing to provide lighting for nighttime use. The Solatube Daylighting System can even be placed where an existing fixture is to avoid unnecessary ceiling clutter. A smart solution for corridors and restrooms or any space that gets used after dark. This kit works with a dedicated compact fluorescent lamp only and complies with California Title 24 requirements. For the 160 DS, the light fixture houses one 26-watt, 4-pin compact fluorescent lamp. For the 290 DS, up to two fixtures may be installed. This kit works with either compact fluorescent or incandescent bulbs with a medium screw-in base. For the 160 DS, the light fixture holds one 23-watt maximum compact fluorescent bulb or a 100-watt maximum incandescent bulb. The 290 DS light fixture is double-headed and holds two bulbs. 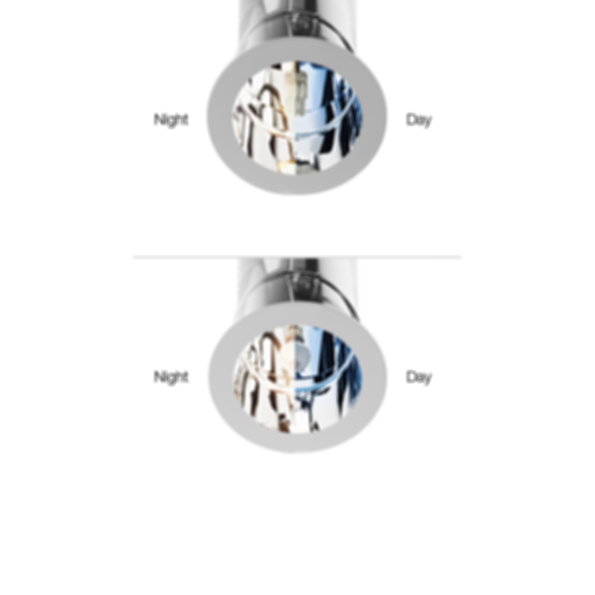 solar light lighting daylight daylighting sun energy 160 compact fluorescent ceiling solatube solatube international, inc.